to live the social teachings of the church. we contribute to positive systemic change in society. 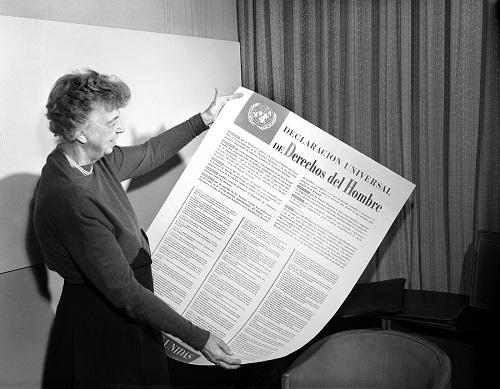 Eleanor Roosevelt looks at the Universal Declaration of Human Rights, November 1, 1949. UN Photo. “All human beings are born free and equal in dignity and rights.” These opening words of the Universal Declaration of Human Rights established the foundation of international human rights law. The Declaration, proclaimed by the United Nations General Assembly on 10 December 1948, sets out a broad range of fundamental rights and freedoms for all. The rights, freedoms, and obligations outlined in the Declaration include civil and political rights; economic, social, and cultural rights; and collective rights. Human rights by their nature are indivisible, interrelated, and interdependent. The improvement of one right helps advance the others. Unfortunately, various forms of discrimination continue to hinder the realization of these human rights. Human rights can only be achieved through persistent effort and constant vigilance by informed and caring people. Each of us has the duty to uphold our own rights and those of others. We all share the responsibility for creating a just society in which the rights and dignity of all persons are valued and respected. The 1948 Universal Declaration of Human Rights in 508 languages. The UN Office of the High Commissioner for Human Rights (English, Español) coordinates and provides information on events and documentation on human rights. 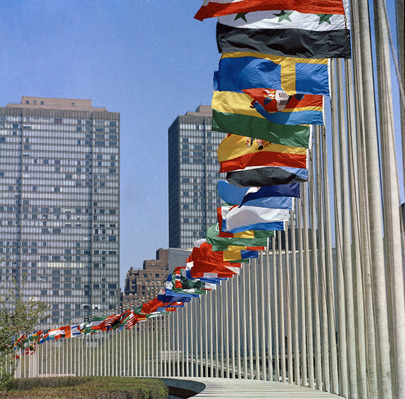 The UN Human Rights Treaty System fact sheet (English, pdf), which gives a general introduction to the core human rights treaties and the treaty bodies that monitor their implementation by States parties. United Nations Educational Scientific and Cultural Organization (UNESCO) (English, Español) has an important role in setting frameworks and guidelines for human rights education and disseminating good practices in the field. 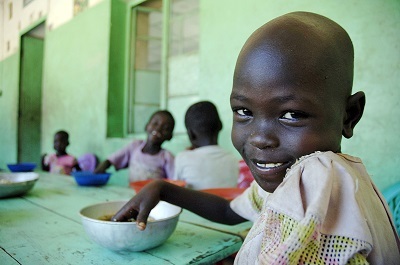 UNICEF, United Nations Children’s Fund (English, Español), provides the text and background on the Convention on the Rights of the Child. The Elders, a group of eminent global leaders brought together by Nelson Mandela, offer their collective influence and experience to promote peace and human rights. Terre Des Femmes (Deutsch, English) is a German non-profit women’s rights organization committed to ensuring that girls and women can live a free, safe, and self-determined life.Click edit button to change this text. Join the SSND family around the world to commemorate Human Rights Day on December 10. Join a human rights organization or network, such as Human Rights Watch (Multiple Languages), to keep informed of current human rights concerns. Stand in solidarity with someone who has experienced some form of discrimination or limitation of their human rights. You have given all of your children human dignity and human rights. Help us recognize the dignity and the rights of all of human kind. who are denied their basic economic, social, and political rights.